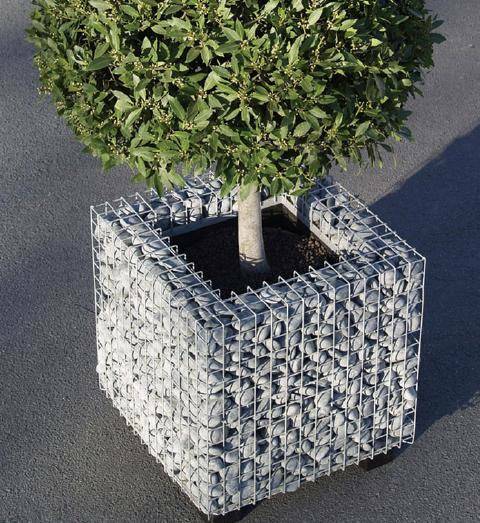 (February 2008) The dutch company Niewkopp de Kwakel found a new application to gabion. It is combination of a quadratic plastic bowl on the outside, with a funicular wired structure inside. The product was named „Kubric“ and is composed of pebble, in different colours and sizes. The wired bowl is made of galvanized steel and among its particular features is a trivet, which eases the displacement of the cubic base.